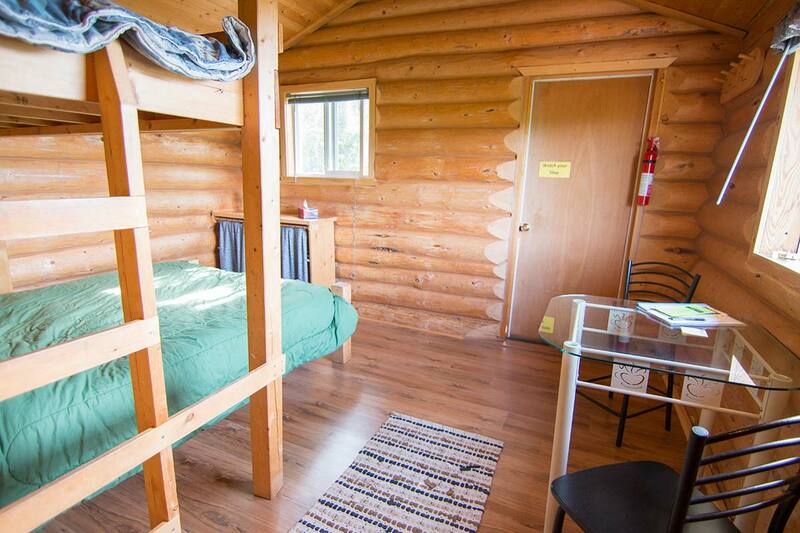 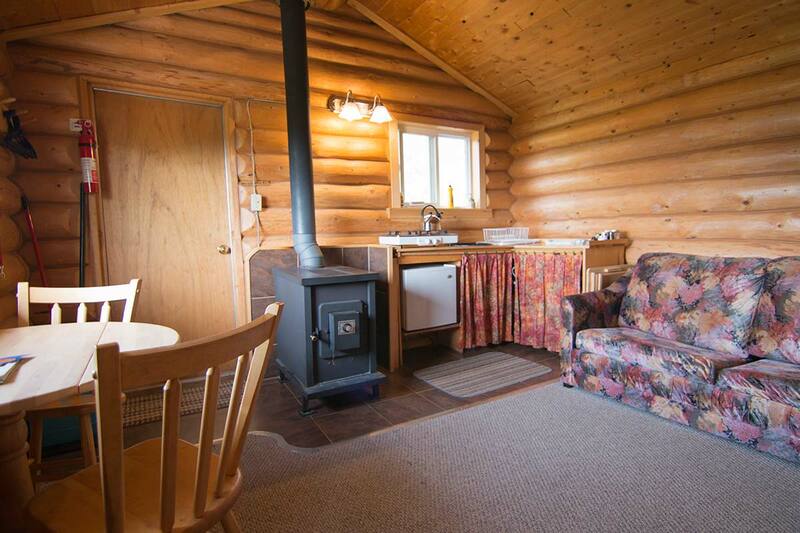 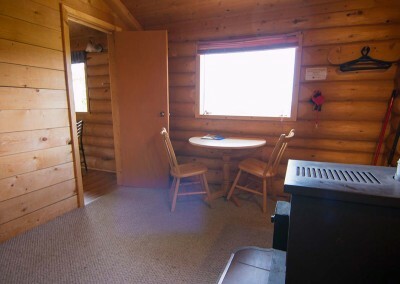 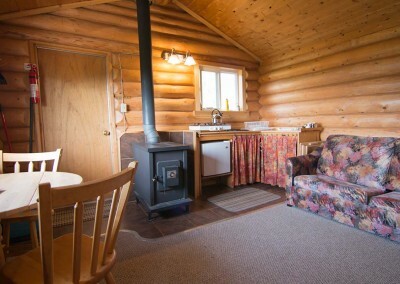 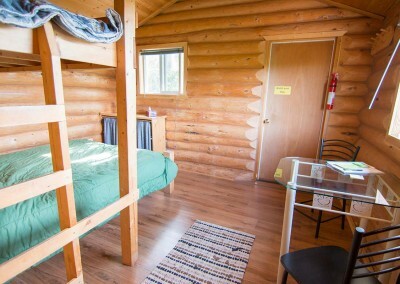 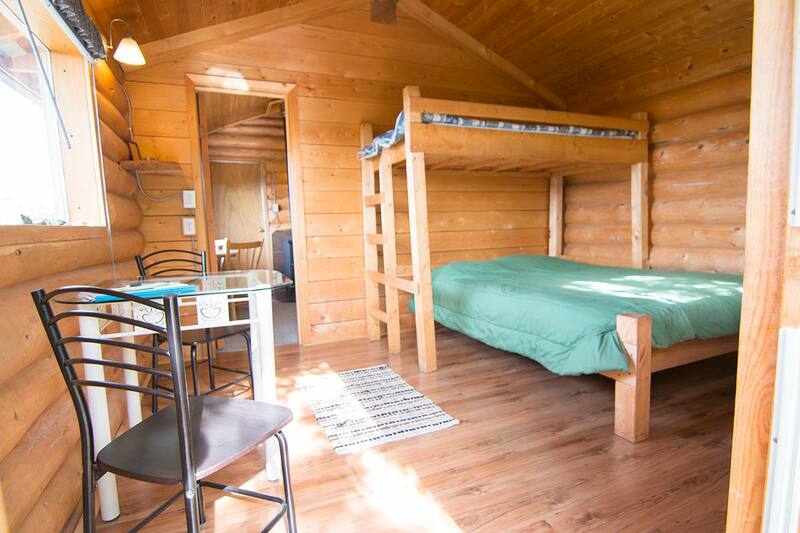 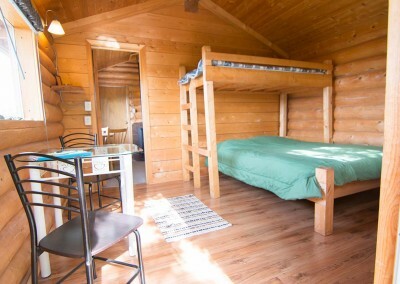 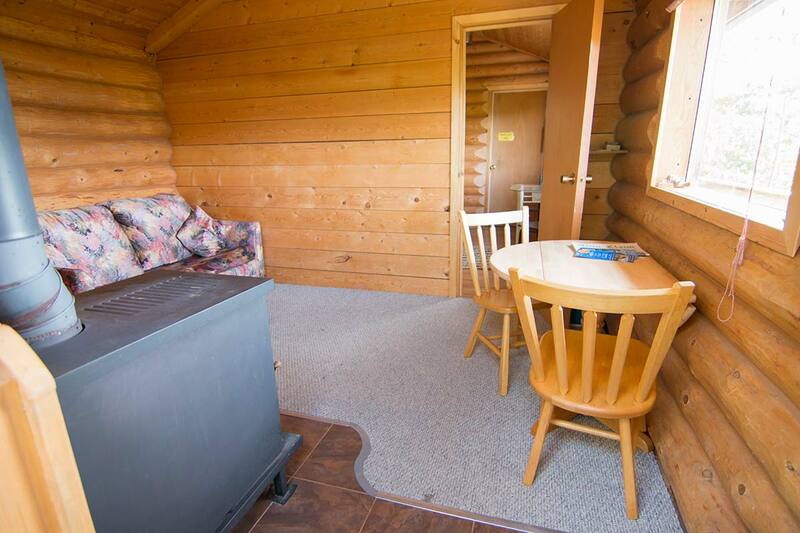 This cabin features one bedroom with a Queen sized bed and a bunk bed. 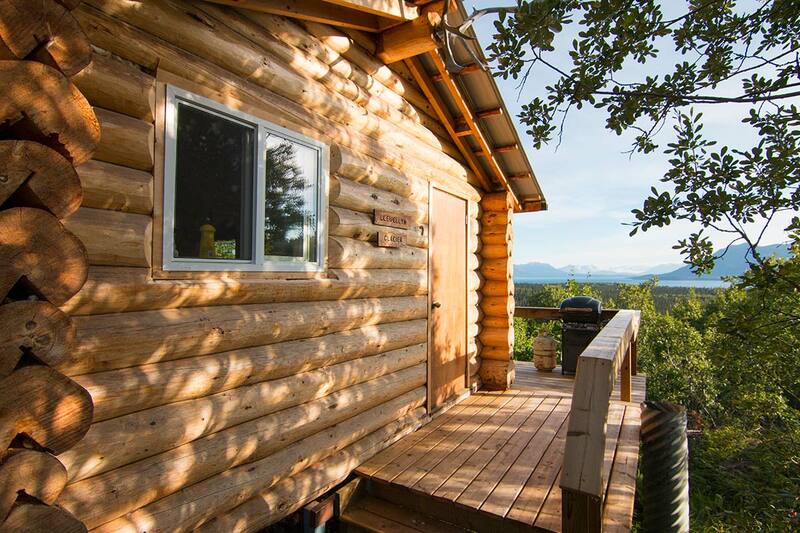 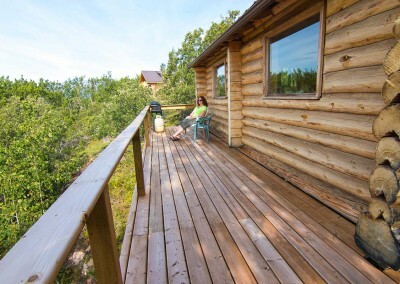 On the porch with a view over lakes, mountains and glaciers, a propane BBQ makes for a relaxing stay. 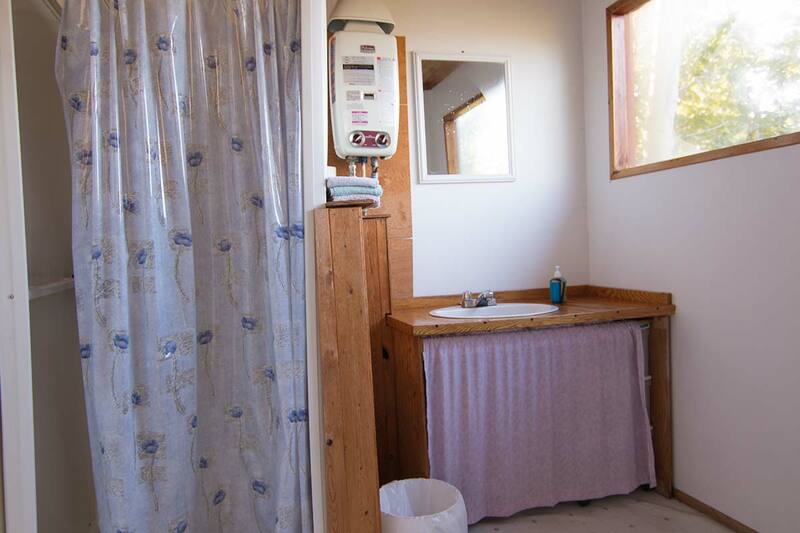 Dishes and linen is provided. 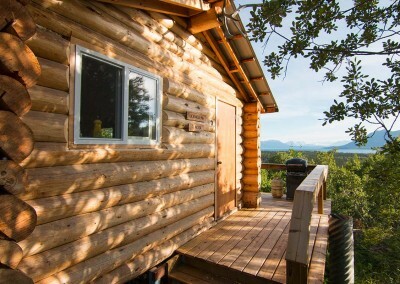 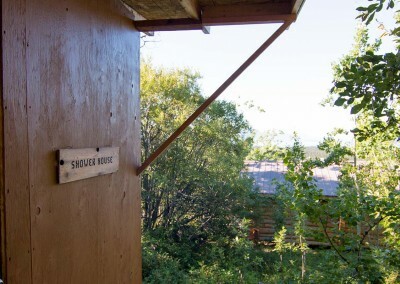 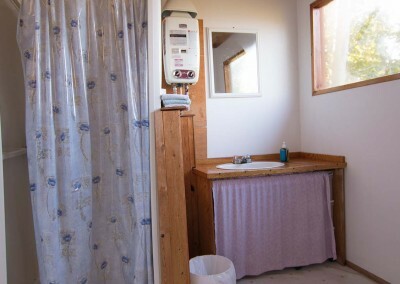 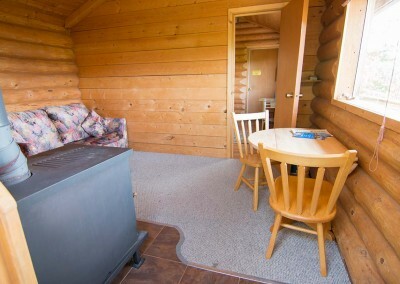 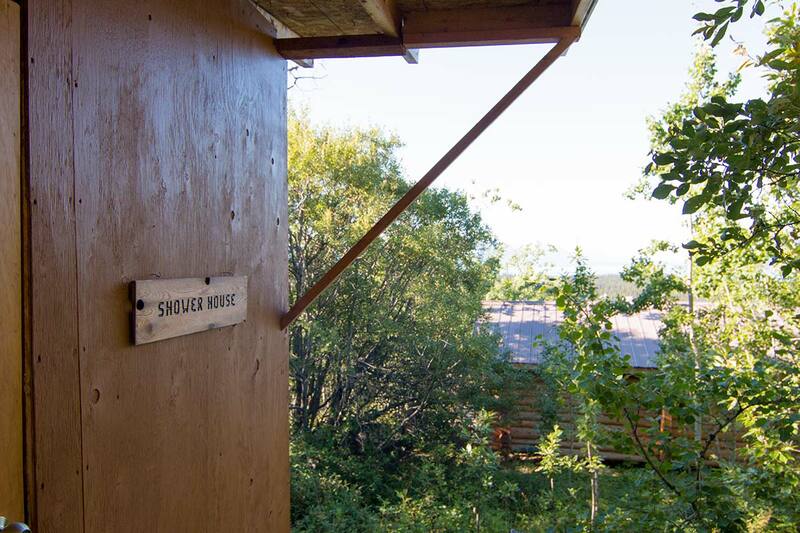 The Llewellyn Glacier Log Cabin and the Sentinel Mountain Log Cabin share a common shower house with cold and hot water.